The Toronto Dingos played their final match of the regular season this past Saturday against the league-leading Toronto Rebels at Humber South. In what was a hard fought match, the Rebels proved to be too strong on the day, emerging victorious by 85 points. The Rebels jumped out of the blocks early, kicking some quick goals while ensuring that their half-back line made the Dingos forwards have to work hard for every opportunity. Despite strong pressure and tackling around the ground, the Rebels wealth of forward options and strong midfield proved to be too much for the red and black to handle this time around. 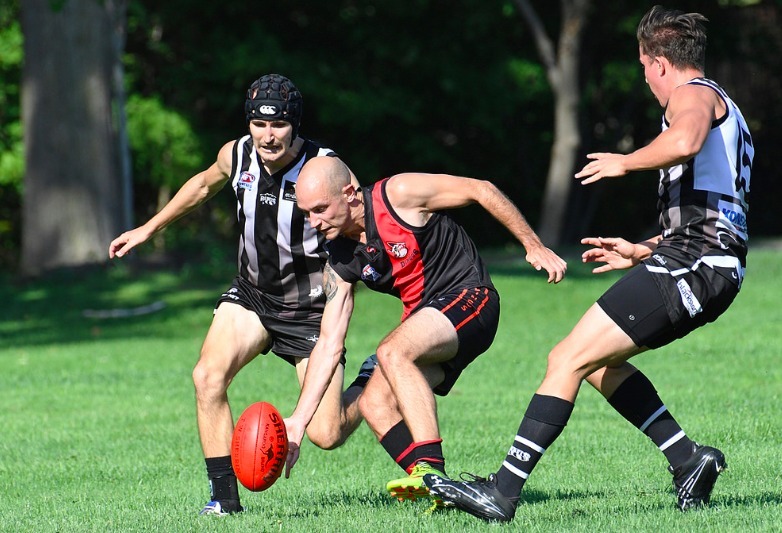 Justin Davis battled hard in the midfield to gain the Dingos' best on ground honours, while Rob McNaughton added to his team leading goals tally and Jimmy Duggan had the final say of the match with a major in the dying minutes. The Dingos will now head to Ottawa to face the Swans in a do or die final on September 10th. The clubs have each won once against each other this season, so the final is sure to be an exciting encounter. Stay tuned for more details.